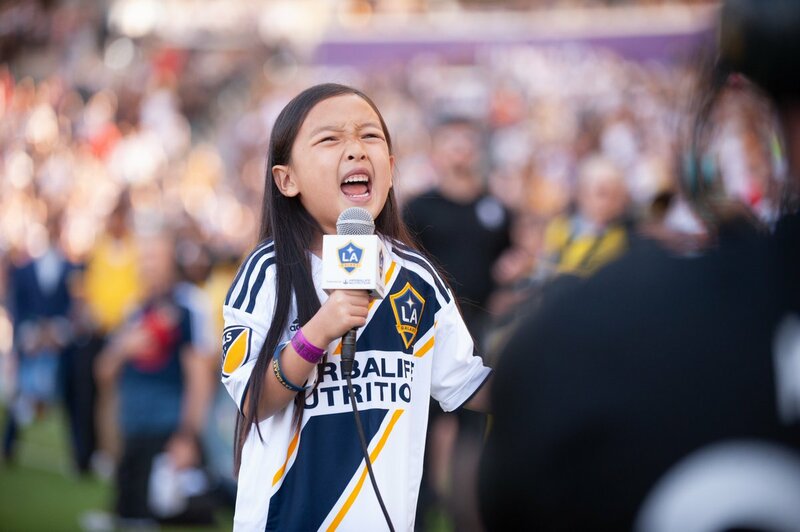 Jeez, it’s not every day you see such undeniable talent from someone just so young, but that’s exactly what you get when you hear the incredible seven year old Malea Emma Tjandrawidjaja sing the national anthem in front of an excited crowd at an LA Galaxy soccer game. The video is beautiful, and her voice is powerful. Before we tell you the back story of how someone as young and seven captivated the crowd so readily, check out the video of the anthem below. How good is that? Or maybe I should ask “how is it that good, anyway! ?” I think at seven I was just proud to know the theme songs to my favorite TV shows. I think at seven just knowing the WORDS to the national anthem would have been a huge deal. But this girl can just belt it. So how did this come about? 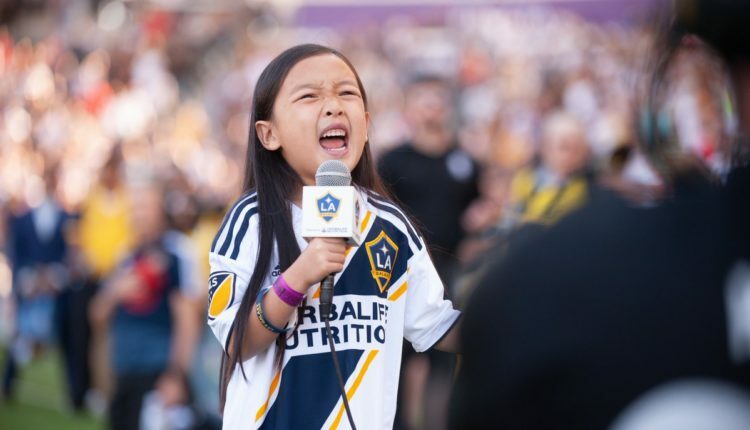 Well, the LA Galaxy discovered Malea through a social media talent based competition, and the video of Malea discovering that she won and she’s going to go sing to a stadium full of people on behalf of a soccer team that clearly means a lot to her is absolutely adorable. And she’s not done yet! And why should she be!? Her voice is amazing! Her next goal? Trying to get Christina Aguilera to sing with her! Malea posted a short video of her incredible voice inviting Christina Aguilera to a duet! Come on Christina! Do it! The only reason to say no is if you’re afraid of being shown up! You’re not afraid of that are you? Give the kid a cool moment! Come on!